Chef Amanda Grega joined the Kellyn Foundation in 2017 as one of the foundation’s chefs. She is also a healthy lifestyle educator for the Kellyn school programs, a mobile market staff member and assists with maintaining the school gardens. She received her Associate’s Degree in Baking and Pastry Arts as well as a Bachelors Degree in Business Management and a Bachelors Degree in Applied Food Studies from The Culinary Institute of America. Amanda is looking forward to a fulfilling future with the Kellyn Foundation, especially with the establishment of a Micro Food Hub at our Wellness Center in Tatamy, PA. The goal for this unique kitchen is to bring together local farmers, healthy foods, and the residents of the Lehigh Valley to improve the health and vitality of our surrounding community. ​Ann Marie Serfass joined Kellyn Foundation in the fall of 2018. She is a healthy lifestyle educator for the Kellyn School Programs, a mobile market staff member as well as a Kellyn School of Life Arts instructor at Llantrisant Retreat & Wellness Center. Her background is in speech therapy; she received her degrees from Northampton Community College, Kutztown University, and St. Joseph’s University. Ann Marie then went on to teach children ages 5-21 as a certified K-12 Speech Therapist for 23 years. Ann Marie is also a certified yoga instructor. She has had training in restorative, trauma informed, alignment-based, adult foundation, and children’s yoga. She has used this knowledge to teach yoga to students in the local elementary schools, Easton Boys & Girls Club, and within local child care facilities through the Shanthi Project. She has also created and facilitated numerous summer yoga/wellness camps. Ann Marie is humbled to stand on a mat and teach yoga. Taking the time to participate in a yoga class as an adult or child and then taking what you experience from those classes out into your everyday life is a strong beneficial foundation for a healthier, happier, and balanced life. She is excited to take this experience of working with so many children and adults over the years and use that knowledge to forward Kellyn Foundation’s mission of making The Healthy Choice, The Easy Choice. Chef Bill Casaceli has worked with the Kellyn Foundation since 2012 as a school program presenter, school garden coordinator and as the foundation’s Head Chef. He received his Associate’s Degree in Culinary Arts from Northampton Community College, followed by experience in local senior citizen communities as well as at KidsPeace Children’s Hospital. He also worked as a Chef Consultant in the Lehigh Valley, more notably with a twice award winning catering company where he focused on the company’s health care line of meals. Bill’s focus on personal nutrition studies started in the mid 1990’s to help deal with “life’s changes” and a demanding corporate management life style. This education married well with a culinary interest that started in “Mom’s kitchen” and followed with years of culinary work experience while attending school as a teenager and young adult. Prior to his culinary focus, Bill’s background comes from an education and 40 year career in health care with a focus on laboratory medicine and biomedical engineering, including a 30 year specialty in Hematology. Bill now looks forward to an exciting future with the Kellyn Foundation as we expand our reach with the Eat Real Food Mobile Market and the health focused kitchen being established at our Wellness Center located in Tatamy, PA.
Eric Drosnock joined the Kellyn Foundation in 2018 as our Administrative Coordinator and a Healthy Lifestyles Educator. Eric can be found moving through the various Kellyn programs depending on the day and need; in classrooms or gardens, on the mobile market, back at Llantrisant Retreat & Wellness Center in Tatamy, or wherever he can lend a hand. A Lehigh Valley native, Eric graduated from Bloomsburg University with a Bachelor's of Arts in Organizational Communications. After spending fifteen years in the corporate realm Eric reached out to join the Kellyn team. He has brought with him an experience and enthusiasm of working with people that he has developed over the years. Currently a graduate student at Chestnut Hill College, Eric is working towards his Master’s of Science in Clinical Psychology. With that course of study along with his personal passion for meditation, mindfulness, and contemplative practice, Eric looks forward to assisting Kellyn in impacting not only individuals but the communities they live in. Farmer Erika Ashman has worked with the Kellyn Foundation since 2017 as the school garden manager and school program presenter. She has experience working throughout the Lehigh Valley establishing community gardens and promoting awareness about the benefits of growing your own food. She is passionate about food justice issues and works to educate the community about the benefits of a healthy lifestyle, and the importance of a nutritionally dense diet. Erika received a B.S. in Psychology from Kutztown University in 2013, and received a M.A. Degree in Sociology from Lehigh University in 2016 through the Community Fellowship Program. Erika has worked tirelessly within the community to help increase access to healthy foods and has established multiple community gardens in shelter type settings. She is also the Co-Chair of the Lehigh Valley Business Group’s Health and Wellness committee, which works with members of the community to promote healthy lifestyles and establish community gardens. The concept of food as medicine has been a driving force behind Erika’s studies and has led to her working with various local farmers within the Greater Lehigh Valley. In addition to working with Kellyn, Erika works with Safe Harbor Easton, a transitional homeless shelter for adult men and women, and has established an urban garden which provides healthy chemical free foods to residents living at the shelter. Erika’s agriculture knowledge combined with her community service experience lead to a perfect fit with the Kellyn Foundation. We look forward to expanding our Mobile Market and school garden program in order to educate and influence more members of the community to make healthy food choices. ​Patrick Henning began working with the Kellyn Foundation in 2016 as part of the Garden as a Classroom program and, soon after, helped with the launching of the Eat Real Food Mobile Market as a primary driver and coordinator. As the market season came to a close, he transitioned to teaching Kellyn's Healthy Lifestyles programs, and continues today with these roles and more. 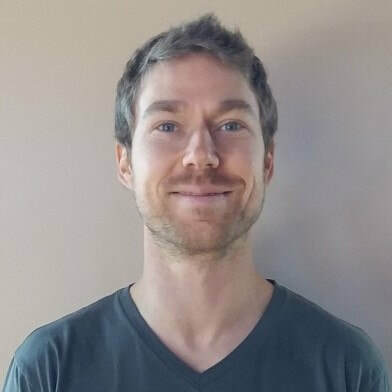 An endurer of autoimmune diseases, including Hashimoto's thyroiditis and Celiac disease, Patrick has continued to develop his understanding of living a healthy lifestyle by comparing his day-to-day experience with the understanding and advice of field experts for the past 15+ years. Purvi Bhojani has been involved with the Kellyn Foundation since 2014 when she first came across their school program in her son's 4th grade class and was impressed with the impact it imprinted on his lifestyle. She is an Electronics and Communication Engineer from India and came to settle in the US in 2000. After being in the IT field for 11 years she chose to take a break to raise her children. Being vegetarian, her concerns for giving her children not only a nutritional balanced diet but also a healthy lifestyle made her want to learn more and help educate others along the way has led her to be a part of the Kellyn team. Purvi is the data coordinator and one of the healthy lifestyle educators for the Kellyn school programs. Coach Sean McGeehan is a certified Health Coach and has been with the Kellyn Foundation since 2013. Coach Sean is one of the healthy lifestyle educators for the Kellyn school programs, he is also avidly involved with the Eat Real Food mobile market. Coach Sean’s journey to a healthy, plant-based lifestyle began while he was battling an autoimmune disease for many years. While working within the traditional health care system, and with an ever-growing list of prescription medications, Coach Sean became determined to find his way clear of his medical struggles. After some time of independent research he decided to formalize his passion and enrolled at the Institute for Integrative Nutrition (IIN) in New York City to become a certified Health Coach. As a certified Health Coach, Sean now brings his training and enthusiasm to both the Kellyn Foundation and private pursuits. Sean now counsels people working to make healthy lifestyle changes. He also provides support for small business programs, speaks at motivational engagements, and educational seminars where he shares his story in hopes to encourage others to change their lifestyles for the better. Coach Sean currently lives in Tamaqua, Pennsylvania with two children, spending his free time lost in music performance or in a pair of sneakers preparing for his next marathon. 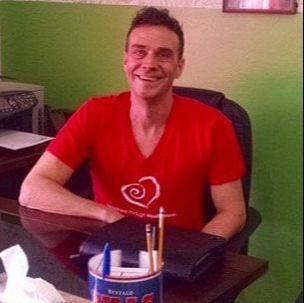 Coach Sean moonlights as student Sean, continuing his education to bring the most current health and nutrition information to his clients and Kellyn. Susan Fagerstrom began with the Kellyn Foundation in June 2015 as a volunteer in the Garden as a Classroom program. Since her first time in the garden, Susan was hooked by the Kellyn Foundation’s mission and passionate staff members. At that moment, she knew she wanted to be a part of the Kellyn family. Over the years, Susan has volunteered on the Eat Real Food Mobile Market and has helped with Community Cooking demonstrations. More recently, she works as a healthy lifestyle educator for the Kellyn school programs. Susan received a B. A. and M. Ed. from Providence College in Rhode Island and worked for many years as a special educator in RI and OH. After having a family, she was an active volunteer at her children’s schools for many years. Now, Susan continues to volunteer at several area schools to reinforce reading skills with students in grades K – 2. In addition, she is a “puppy sitter” for a local organization which raises service dogs for veterans. Susan lives in Allentown with her husband and their two college-aged daughters. Susan has come full circle as a mother and now focuses on the importance of a healthy lifestyle. She continually encourages family members and friends, as well as local students, to Eat Real Food!